In January 1912, our scrapbooker Sarah Eva Howe Salyers was a busy woman. She was caring for her family of five (including husband William Levi "Will" Salyers, 5-year-old Robert King Salyers, and twins James Richard and Mary Alice, who were a few months shy of 2 years old). Apparently, Sarah also was caring for two ailing relatives: her mother Alice Ada Cost Howe and 15-year-old sister Leonora Alice Howe. In the scrapbooks are references to Alice and Leonora having rooms upstairs at the Salyers house. At first I thought they were staying there because they were ill and needed Sarah's care, but various notes in the scrapbooks make me think they lived there with Sarah and her family. The children were sad when Daddy and big brother Bob took Alice (called both "Mam-maw" and "Grandma") and Leonora ("Aunt No-No") to the Carrollton depot to board a train bound for Louisville. From letters Sarah pasted or transcribed into her scrapbooks, we learn that the two women went to a sanitorium. References to "Dr. Pope" suggest that they checked in at the Pope Sanitorium, established in 1890 by Dr. Curran Pope on Chestnut Street in downtown Louisville. According to Louisville Encyclopedia by John E. Kleber (University Press of Kentucky, 2001), Page 785, "sanitoriums were popular in those days for treatment of chronic diseases and disorders such as tuberculosis and nervous/mental disorders." I have not yet discovered the ailment that sent them there. 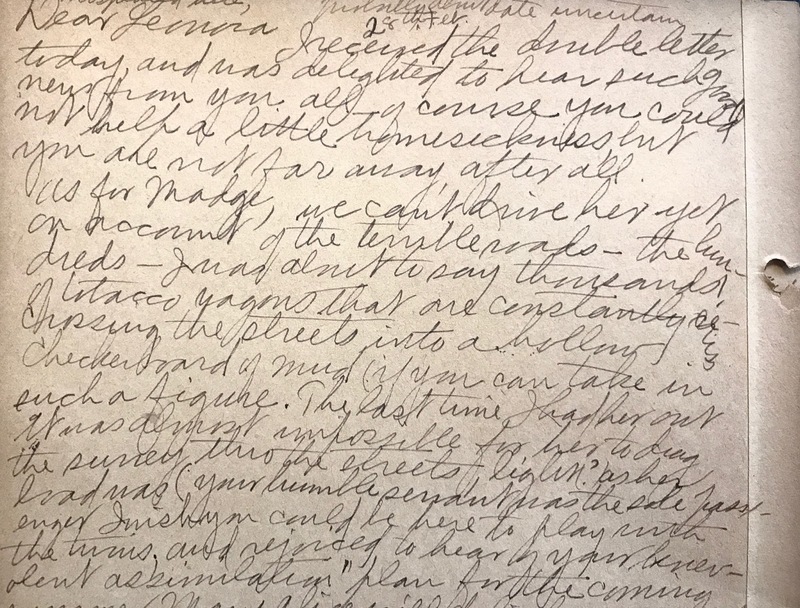 Letters from Alice and Leonora to Sarah in Carrollton, and letters Sarah sent to them in response, offer insights into social customs, medical care, and transportation trials and tribulations of that time. There's also an amusing story or two. It is snowing "like pitchforks" here. . . . We received your letter just a few minutes ago and were certainly glad to hear from you. I got the letter down at the office in the back of the building. Mr. Thruston Pope is just as fat as ever. [This statement makes me think that the Pope family had Carrollton ties and that the Howe and Salyers families were acquainted with them.] I had a pleasant time on the train coming up except that the train was too warm and I got the headache. When we got here, it still ached so I lay down and slept about two hours. About that time Dr. Pope sent for me. He looks about the same but his hair is a little grayer. Dr. Pope did not keep us so very long. I do not know anything about how long I shall have to stay. Dr. Pope says for us to take a morning walk for 20 minutes before our treatments, so we have just come in from our "braces" which felt very "tonic" as it was colder than I thought. Please send me 1 black silk waist [which I think is a blouse or under-blouse], 1 pr gray kid gloves no. 6, one gingham apron. 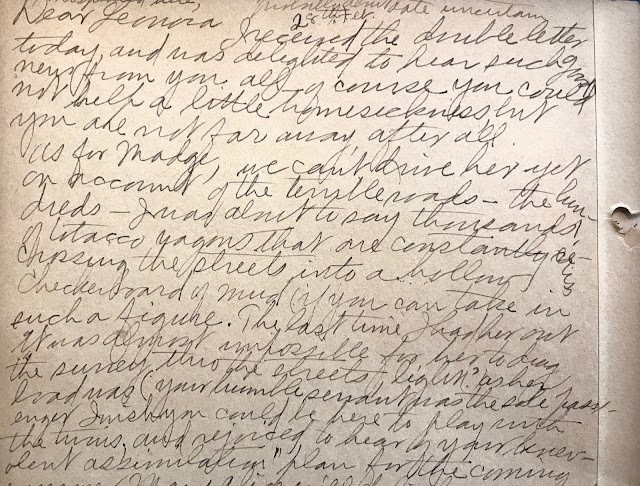 Sarah's transcription of her letter to Leonora. The scrapbooks contain some actual letters but many transcriptions of letters, possibly so the originals could be returned to the people who received them. surrey through the streets, light as her load was (your humble servant was the sole passenger). . . . Will said he had a fine time on his visit to you and a mighty good dinner at Doctor Pope's and could see a lot of improvement in "our" two patients. 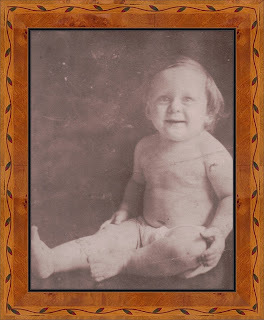 I must tell you the joke –– Bob wanted to go down with his daddy, and I suggested that maybe he could go and stay with you all while Will attended to business, as you did have two beds, and he could sleep with Grandma. 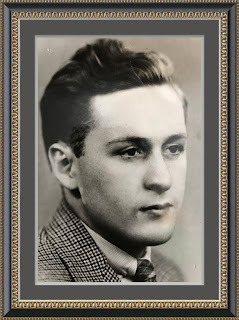 Will said, "I wonder if I could stay one night at the Sanatorium, too," and Bob said readily, "Why yes, Daddy, you could sleep with Aunt No-No while I sleep with Grandma!" But his daddy blushed and said he was "afraid Aunt No-no would object!" The Salyers family of Carrollton was still using a horse and buggy for transportation in 1912. A previous post reports that only five automobiles were registered in Carrollton in 1910-1911. Sarah's reference to dinner at Dr. Pope's reinforces my thinking that the Salyers family was connected at least socially with that family. Little Bob's innocent suggestion that his daddy sleep with his mother's sister made his daddy blush, which I find endearing. Other scrapbook passages mention that Will stayed at the Seelbach hotel when he traveled to Louisville on business or to visit his mother-in-law and sister-in law. The hotel would have been within a few blocks of the sanitorium at 115 W. Chestnut Street. I am going to see Girl of My Dreams [a play] Saturday with Miss June Walker at Macauley's. This morning we went downtown. We went to the New York Store and then to Dr. Ledeman's. . . . I just wanted to see if my glasses were all right. I wish you could see the doctor. He is attractive. He has a keen sense of humor and is fascinating because he is so funny. He is a man of almost thirty years, I suppose. Now you will think I am talking a great deal about him, but I assure you he is perfectly harmless and besides he is Hebrew and is married "already yet." Do tell me if you find any fresh butter, for you know my weakness for that article. Dr. Pope has good butter, but it is not quite so fresh as I like. I like the fresh country butter. Sarah's letters from Carrollton reply that she was unable to get fresh butter at an affordable price. Research on why that was so will have to wait for another day. The pages and papers in this scrapbook are loose and not in consecutive order. A look through the whole book failed to turn up evidence of how long Sarah's mother and sister stayed at Pope Sanitorium. We know they recovered from their ailments, because both lived decades beyond 1912. 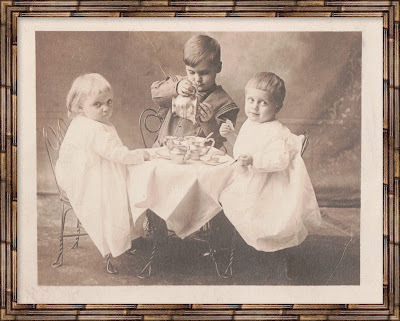 In May 1915, Sarah Eva Howe Salyers of Carrollton, Kentucky, was the busy mother of three children: 8-year-old Bob and 5-year-old twins Jim and Mary Alice. 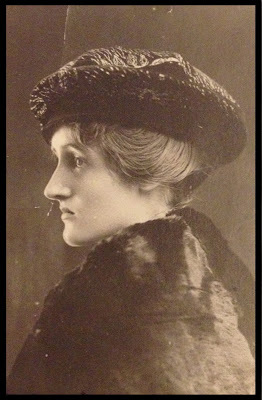 Her husband William Levi Salyers was busy, too, most likely working with his father at the local C.D. Salyers Tin and Stove store. The Salyers household was about to get even busier. Sarah was due to deliver their next child at any time. In 1915 she had no way of knowing if the child would be a boy or a girl. Did she know she was carrying twins? I'm not sure if physicians of that day could tell if a mother was carrying more than one child, but I suspect a stethoscope would surely detect multiple heartbeats. Even without an official diagnosis, Sarah may have suspected twins based on her previous pregnancy. On May 14, Sarah gave birth to twin boys. The first-born twin was healthy. They named him David Hillis Salyers II, after his father's grandfather. The second twin was stillborn. 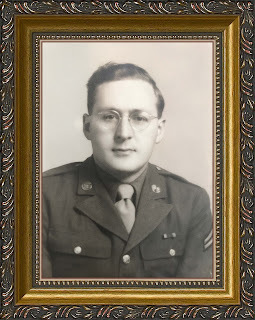 They named him John Howe Salyers, after his mother's grandfather. On the day he was born, John was buried near his ancestors in the IOOF Cemetery in Carrollton. Sarah and Will had to celebrate a birth and mourn a death at the same time. I can't imagine that wrenching struggle between sadness and joy. David was what is known today as a "twinless twin." 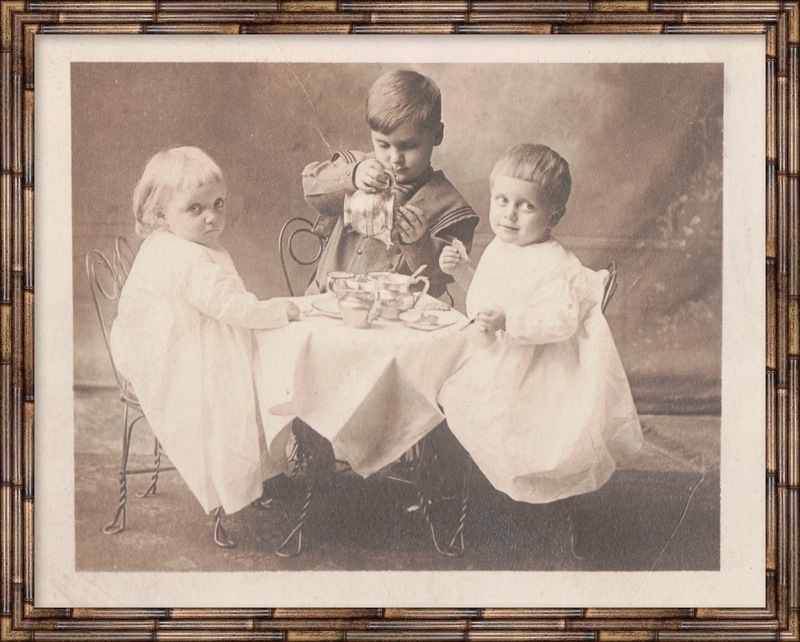 Psychologists tell us that a surviving twin feels a sense of loss throughout life. I wish he was still here to talk with me about that. David was the baby of the family and was, I'm told, spoiled by his sister and teased by his brothers. 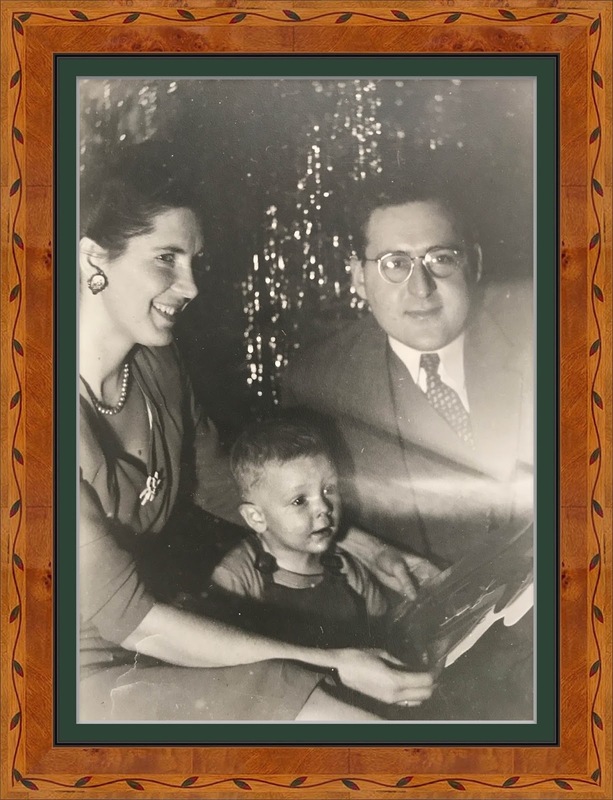 Like many Howe and Salyers relatives, he loved reading, singing, acting, and playing the piano. He never had a piano lesson, but he was a natural – he just sat down and played. in 1927, when David was 12. After a few years, they moved to Lexington, where he graduated from Henry Clay High School (1933) and the University of Kentucky (1937). Before he went off to war, he married his Arkansas-born sweetheart, Eurelia Maehew Kennedy. Mae settled in Louisville, where David had been living in an apartment with his mother. While he was away, their son (my future husband) was born. A daughter was born a few years later but died shortly after birth. In the late 1940s, David and Mae bought a big Victorian house in what was to become fashionable Old Louisville. It wasn't so fashionable then, just affordable. They became active in neighborhood restoration and were major forces in saving the historic area from decay and demolition. They were leaders in many civic organizations and projects, including the Kentucky Derby Festival, Shakespeare in Central Park, St. James Court Art Show, and others. Following the footsteps of David's Howe ancestors, they were also were active in the United Methodist Church. They lived in Old Louisville until they died. David worked at the Kentucky Department of Revenue's downtown Louisville office for many years. He was an outgoing man who had the gift of gab, and he enjoyed nothing more than engaging people – friends or strangers – in conversation. On 25 September 1981, he lost a 10-year fight against a kidney disorder. Honoring his wishes, his wife donated his body to the University of Louisville medical school. In death, as in life, David helped others. 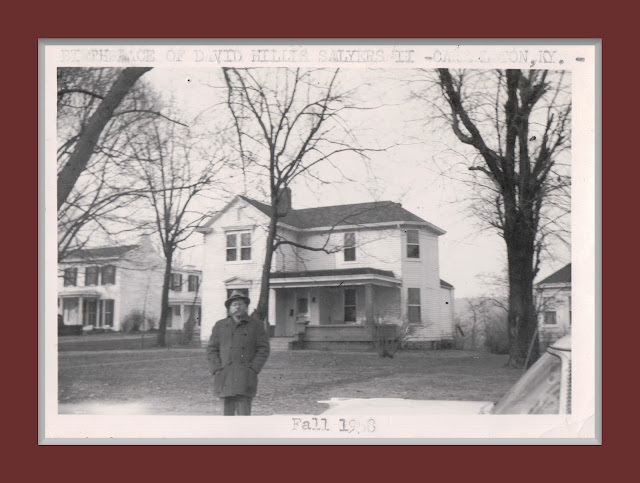 David H. Salyers II in 1958, visiting the Carrollton, Kentucky house where he was born in 1915. This was the home of his parents, William Levi and Sarah Eva Howe Salyers. 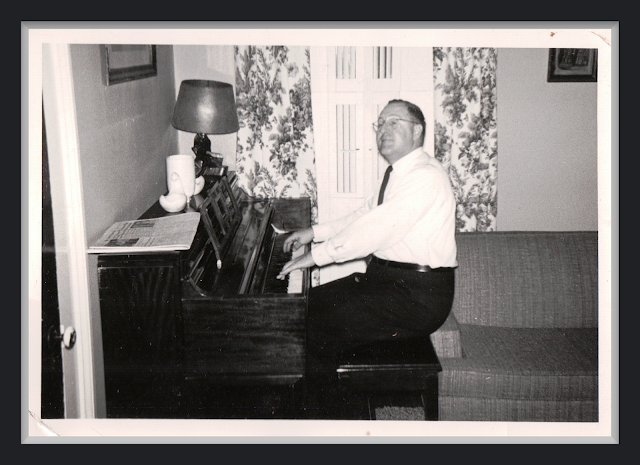 David H. Salyers II, enjoying time at the piano, circa 1960. He never learned to read music but could play any song he heard, frequently entertaining others at church events, family gatherings, and parties. He also was known for his baritone voice and was a soloist in college, performing in Broadway musicals and operas. Keeping a promise to his mother, he sang Ave Maria at her funeral in 1955.